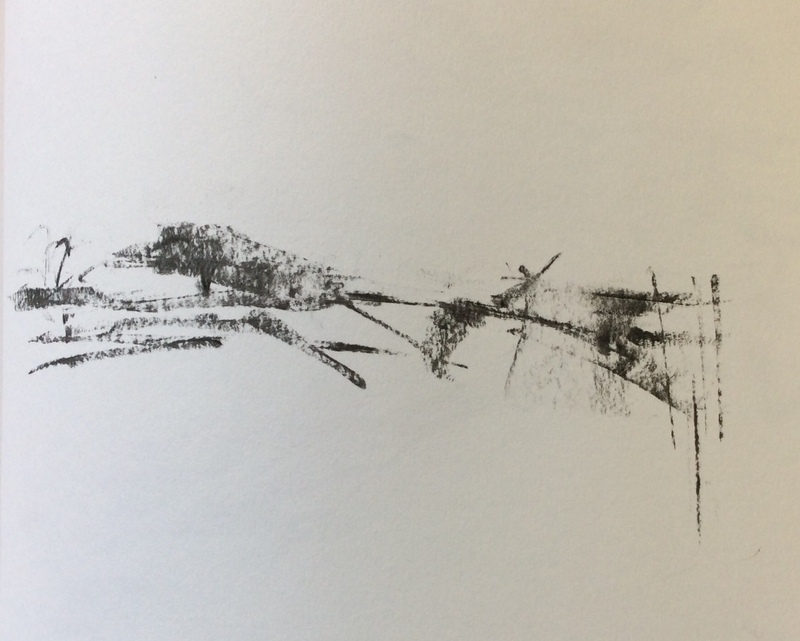 June 21, 2018 by cjr01Leave a Comment on Confidence…It’s A Fragile Thing…. 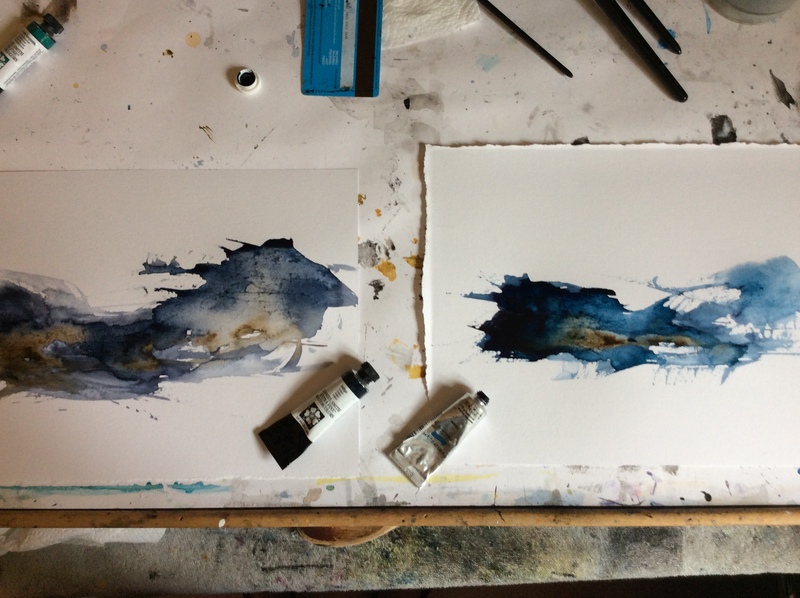 A few weeks down the line and finding myself spending a fair bit of time away from home, away from my little studio, aka the smallest bedroom, and with only limited art materials and space, preparations have slowed down, not quite stopped, but definitely slowed… and with that, comes a drop in self-confidence…(it doesn’t take much…)…. 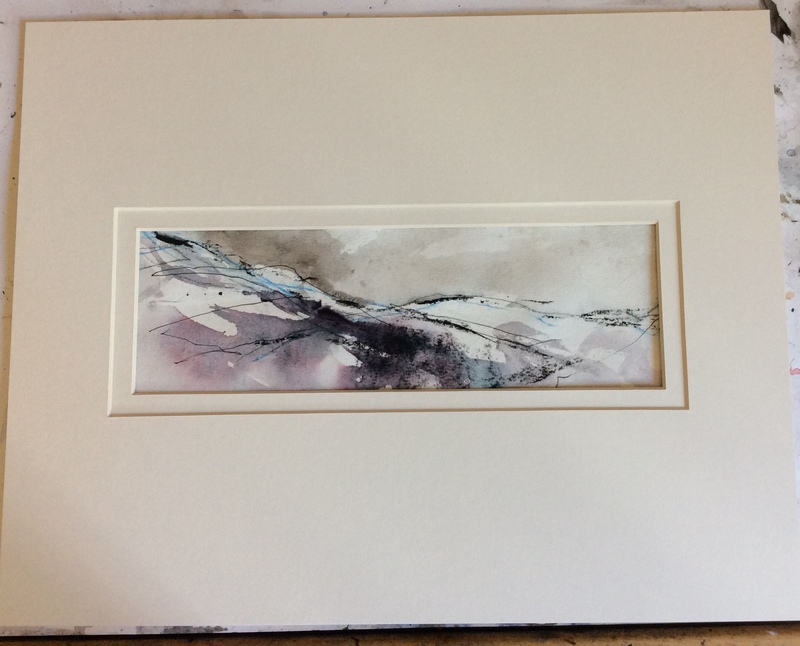 So today I have returned to my comfort zone, (I know, to progress, you should push yourself…but a little TLC is required..)…. 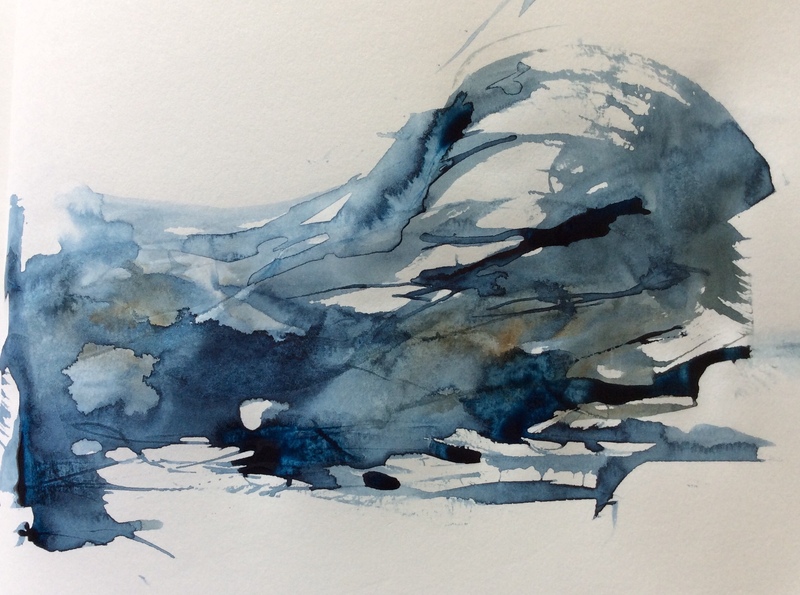 Try, Try & Try Again…. 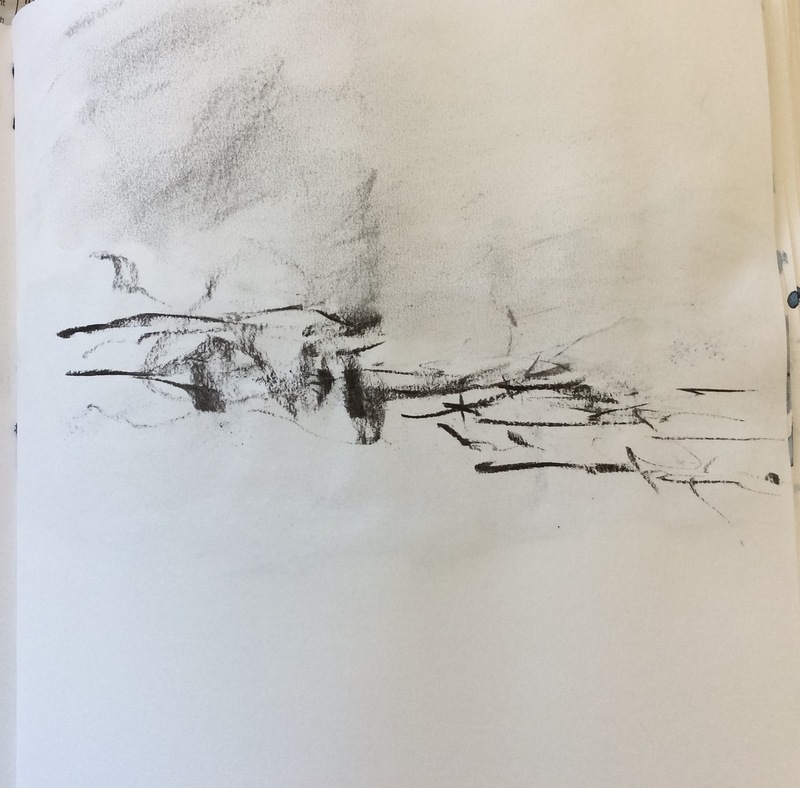 June 8, 2018 by cjr012 Comments on Try, Try & Try Again…. 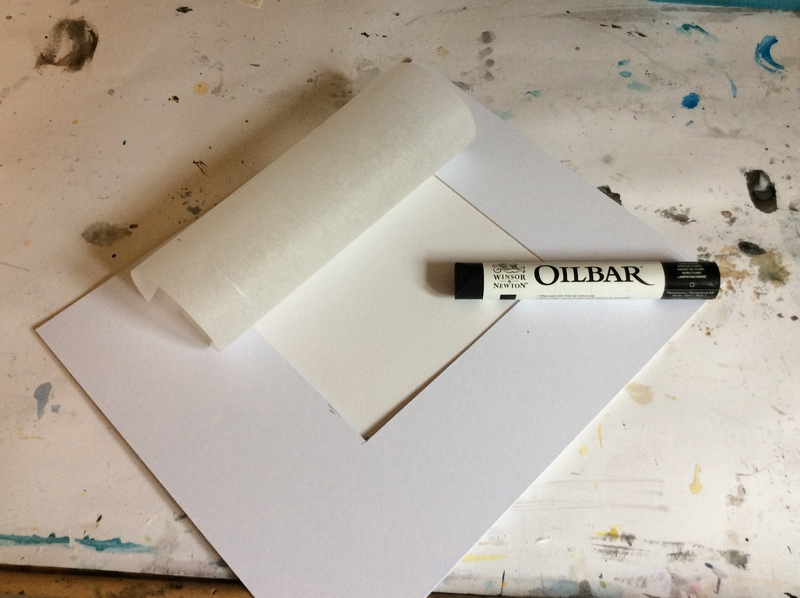 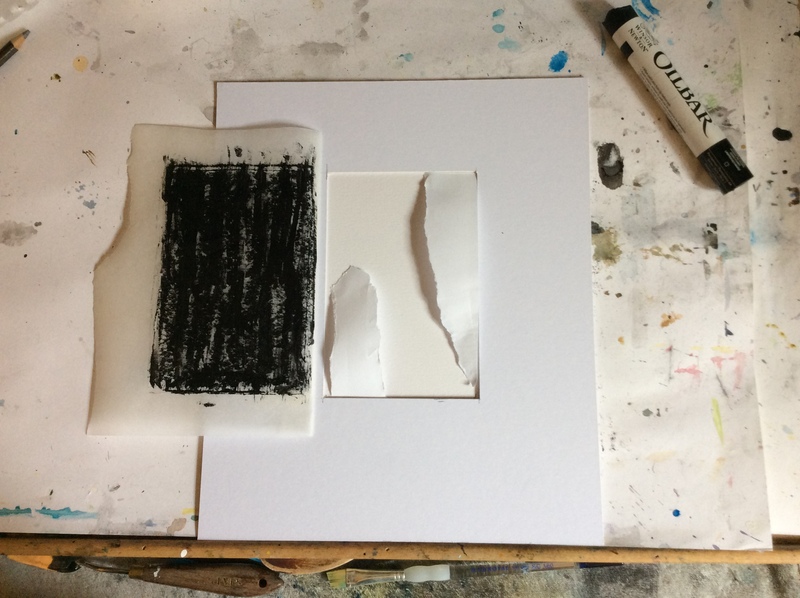 However, having been accepted to take part in this September’s Melbourne Festival, the need to produce work has spurred me to keep on trying…practice makes perfect as the saying goes…. 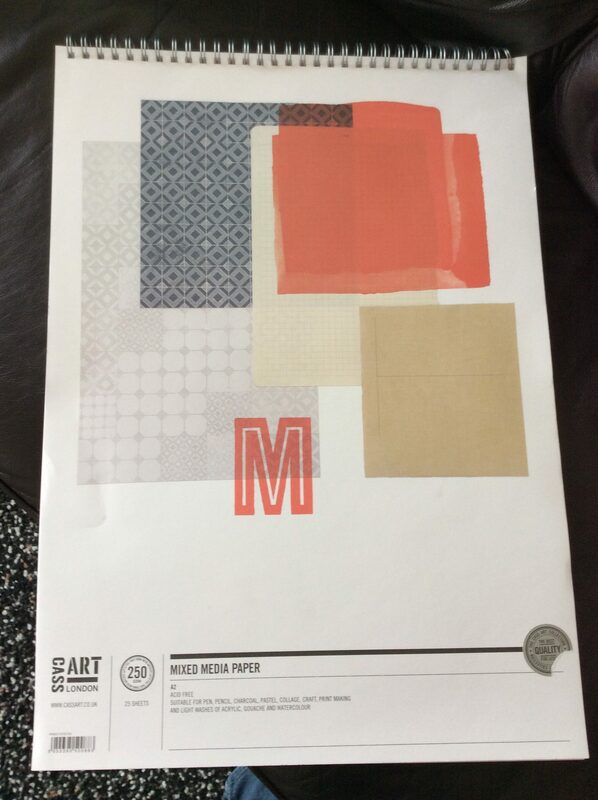 so another day, a different paper…. 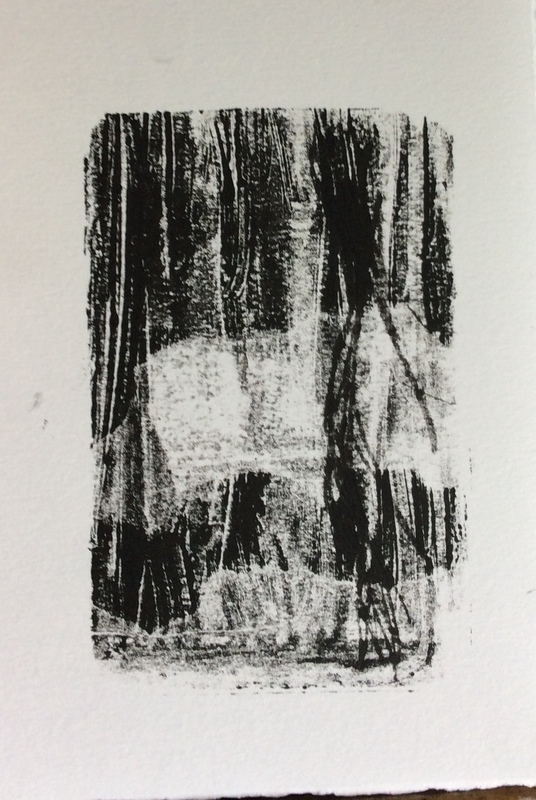 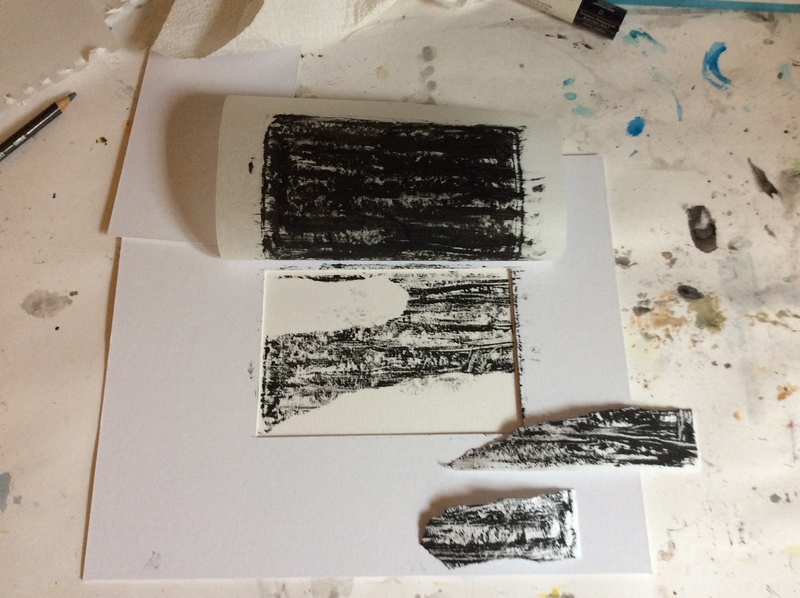 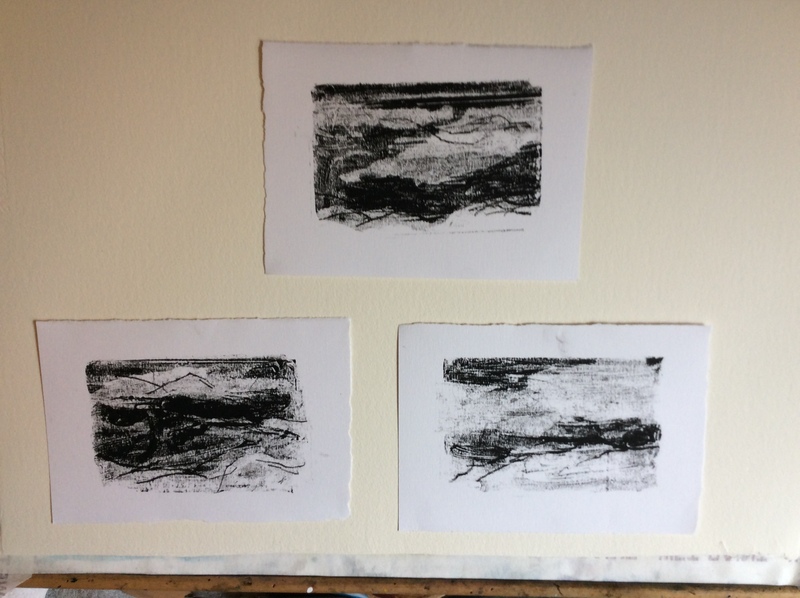 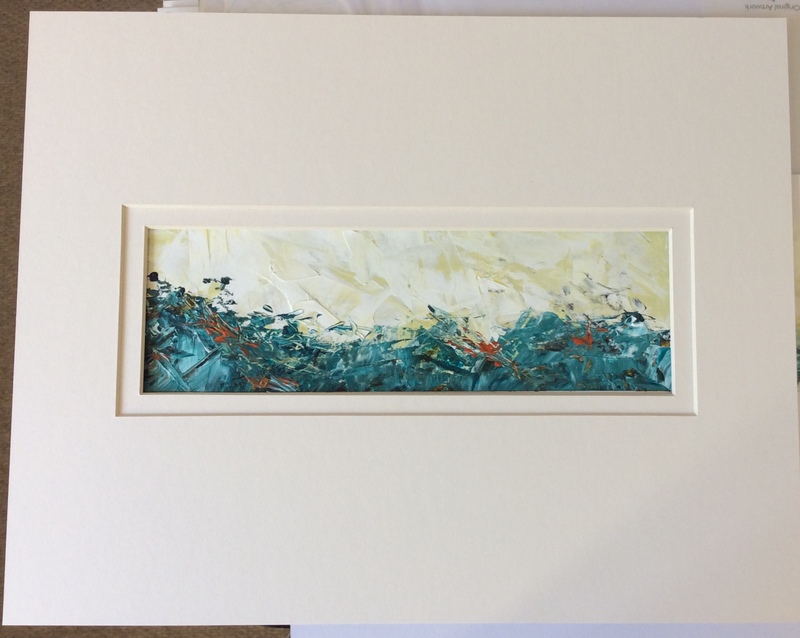 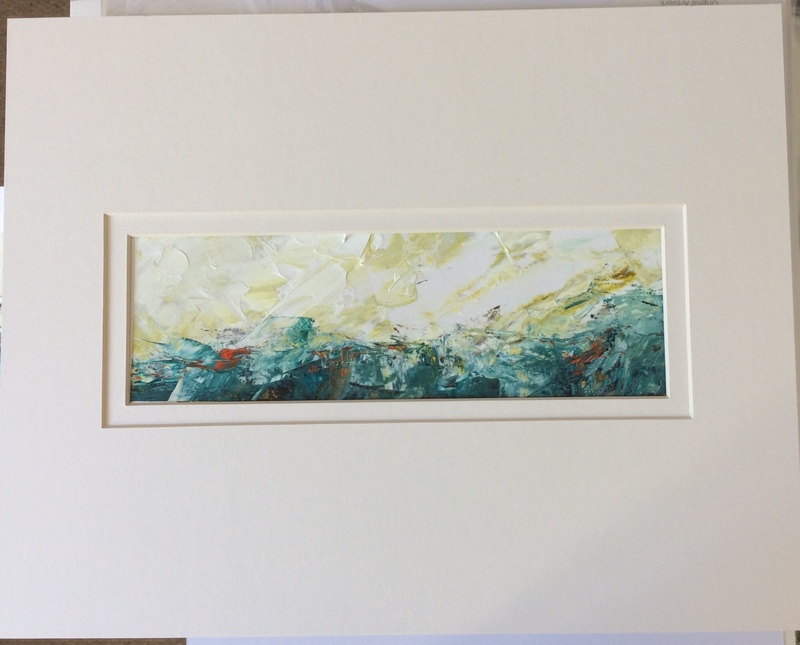 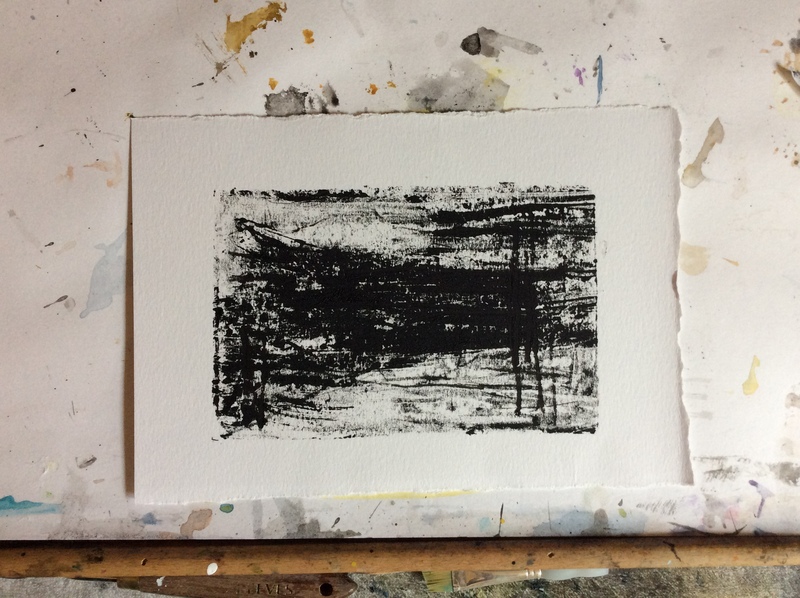 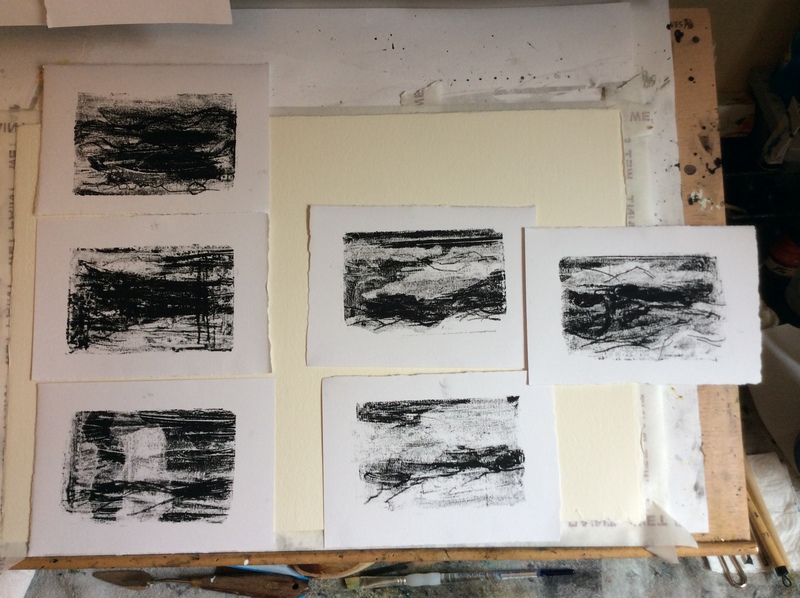 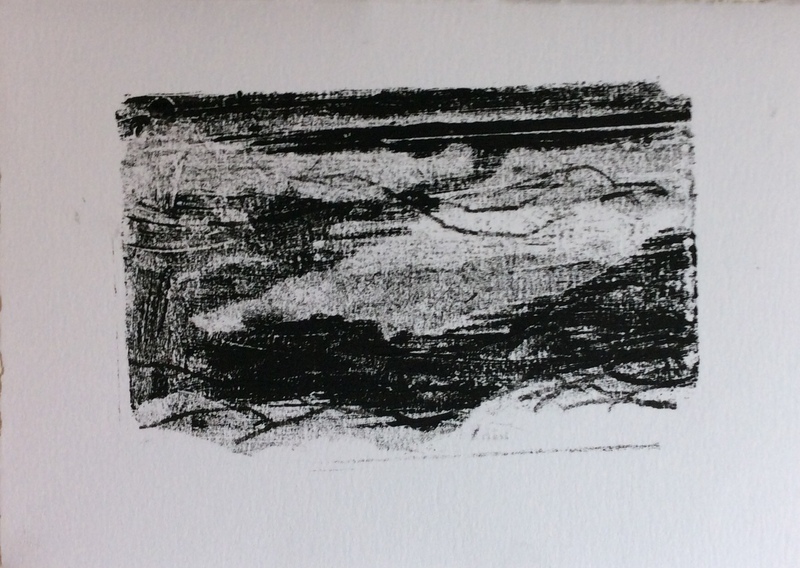 ….I will keep on trying…and eventually I will produce some pieces I am happy enough to mount and frame…..meanwhile…..I will add the rest to my ever-growing ‘reject’ pile or should that be ‘learning’ pile…. 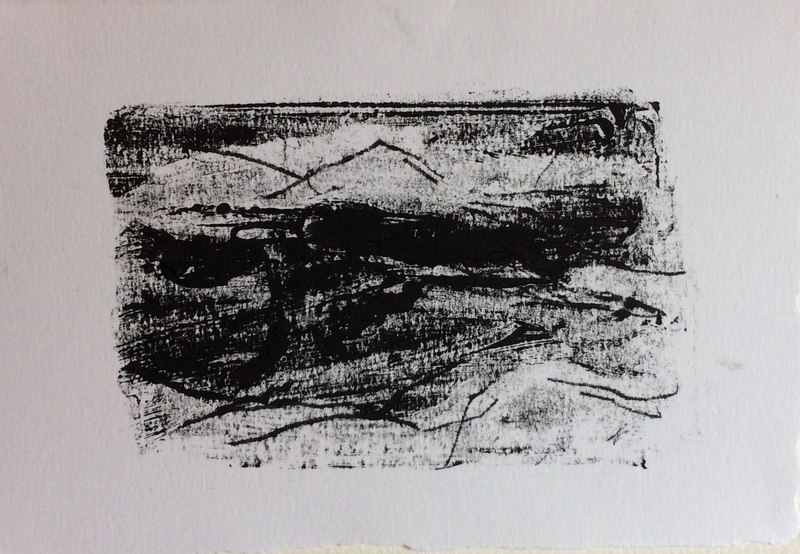 A new day, a different medium…yesterday was experimenting with mono printing (I will keep trying with this…), today I am continuing to experiment with acrylics… Until very recently I worried about this flitting from one medium to another, worried that it would appear I hadn’t found my artistic voice, whatever that is, but I have come to realise this is all part of my make up… I have always been a ‘heart on my sleeve’ kind of person (my Mum always says that my face gives me away…whatever mood I am in…). 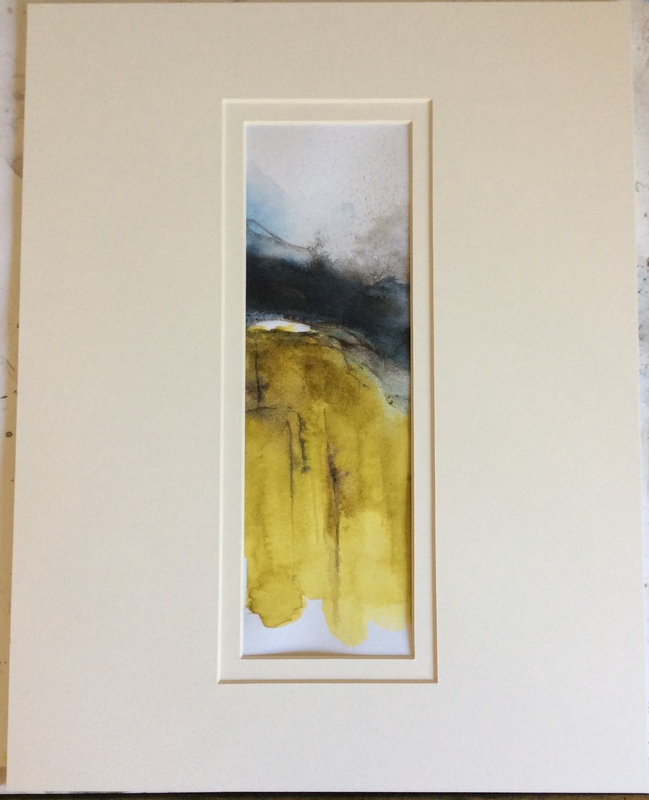 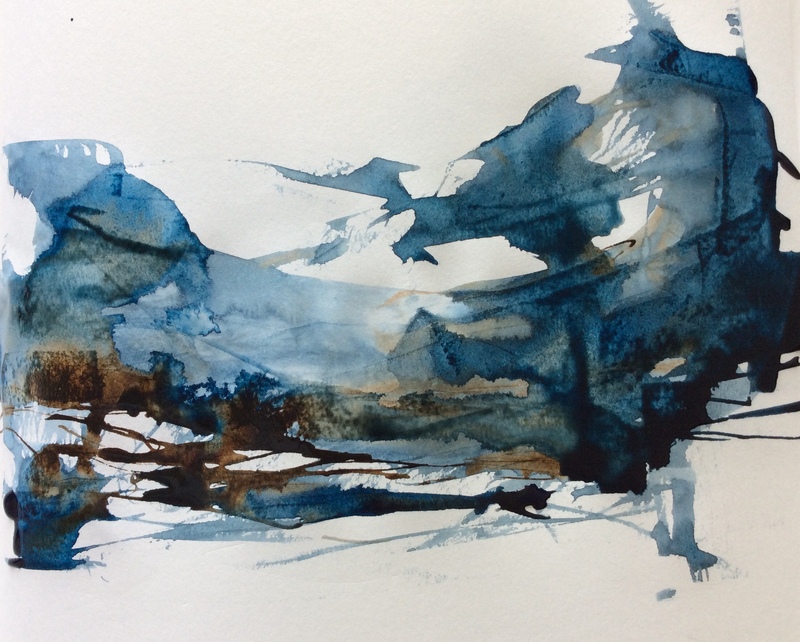 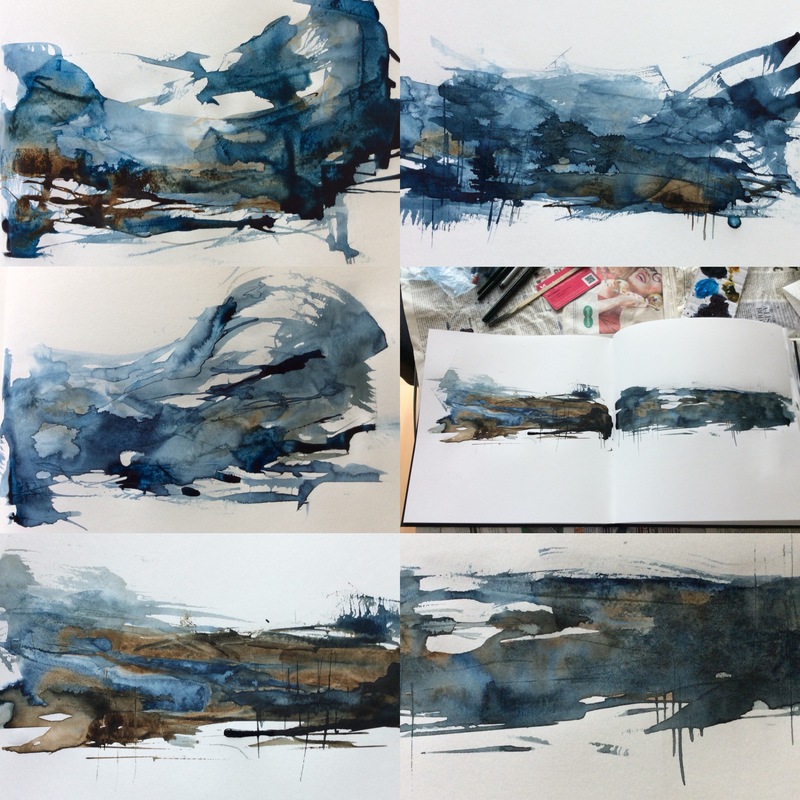 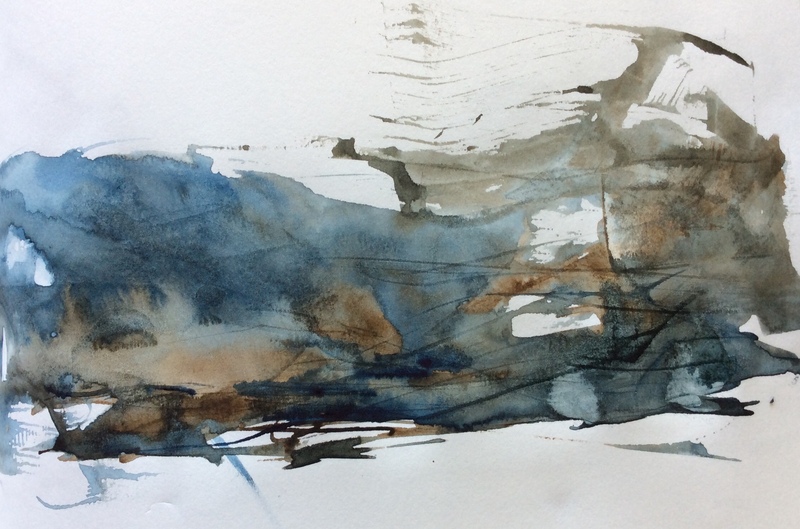 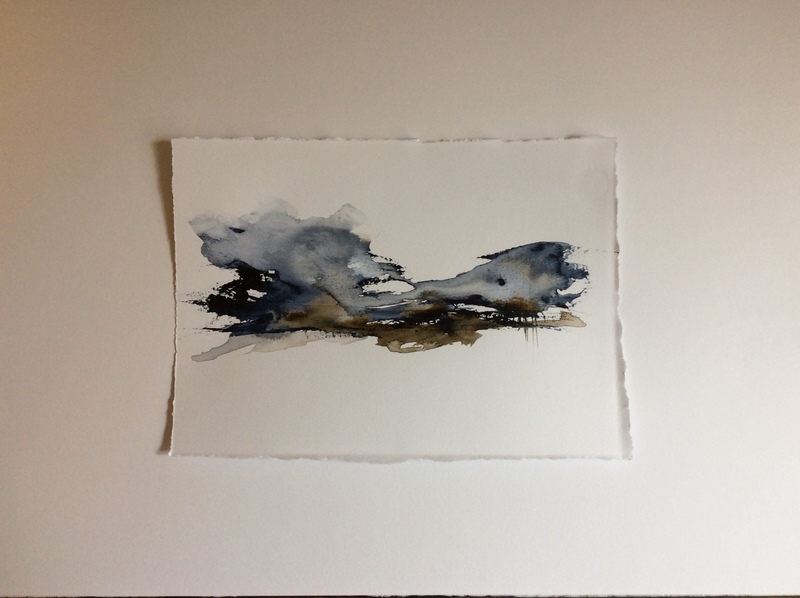 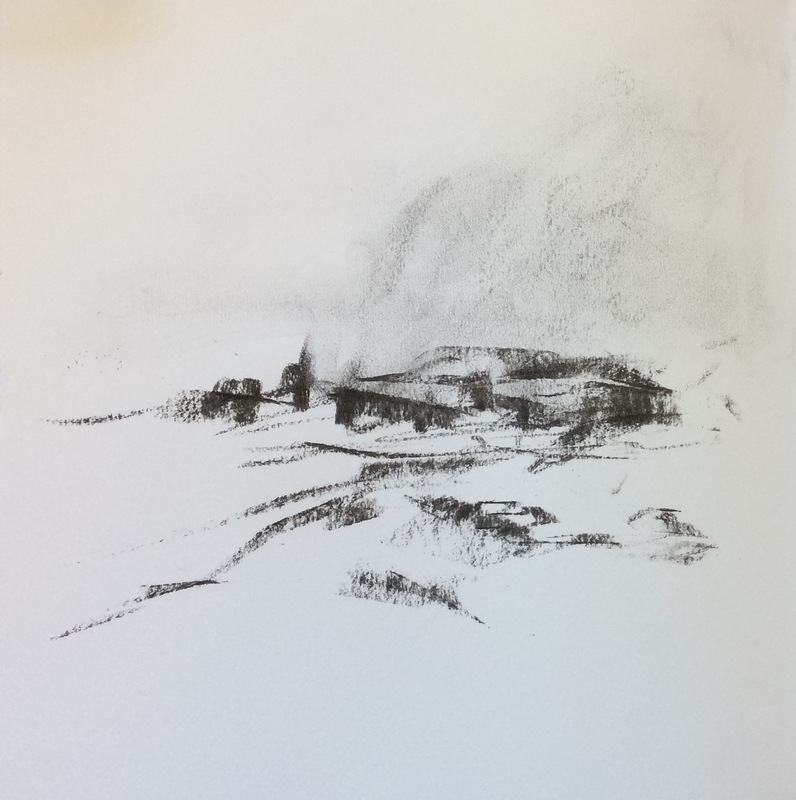 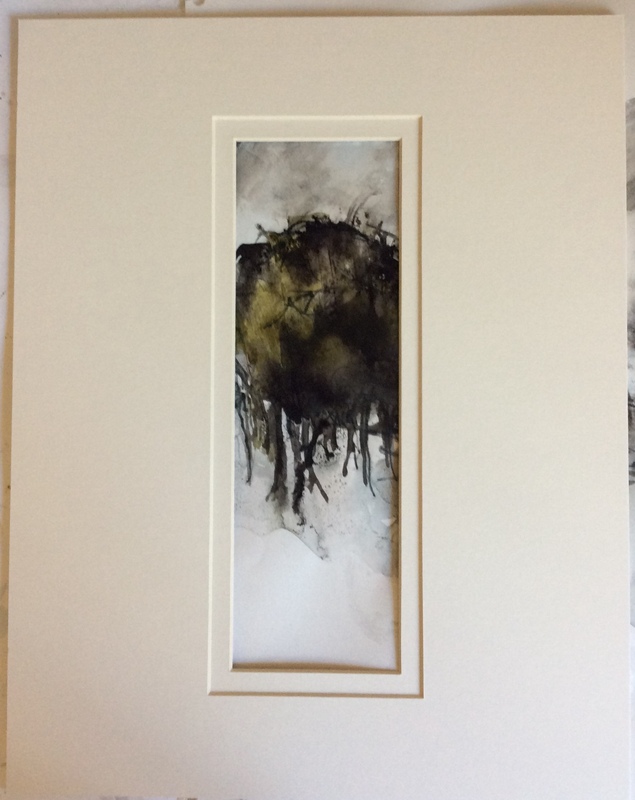 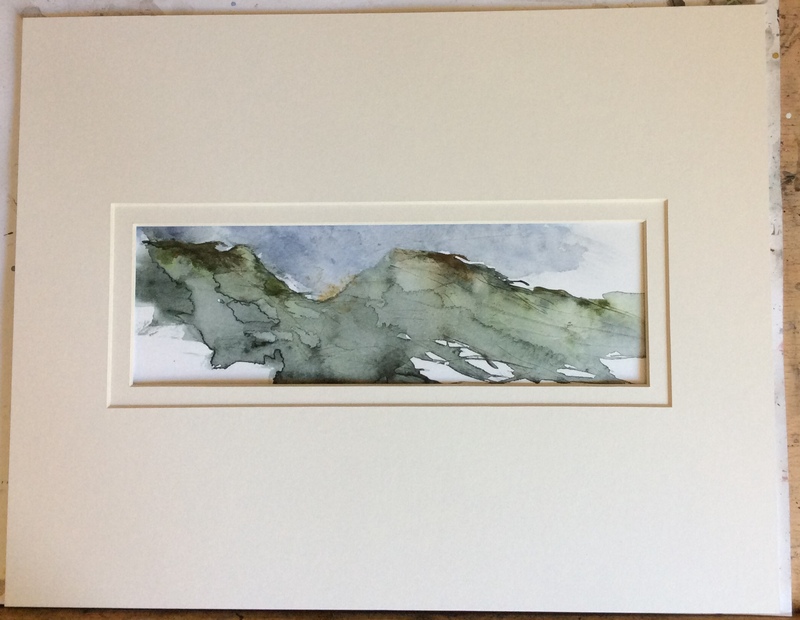 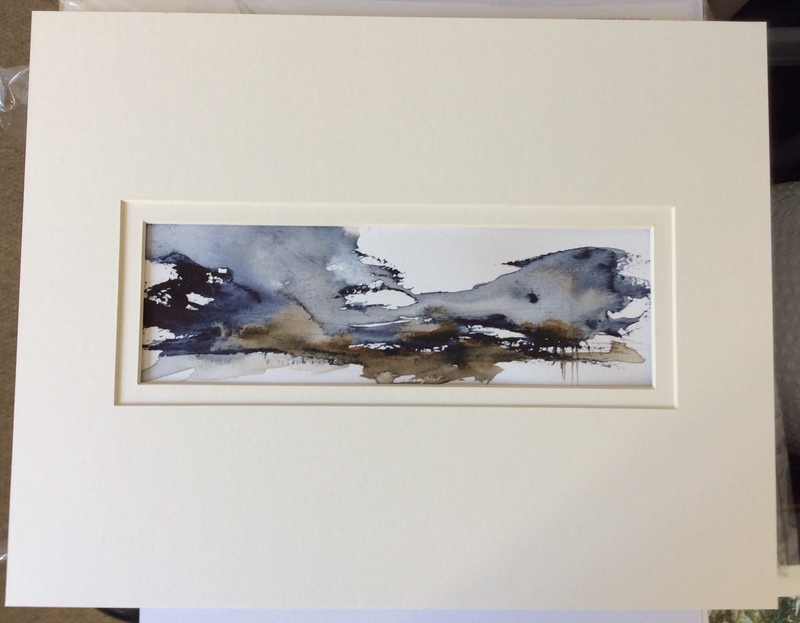 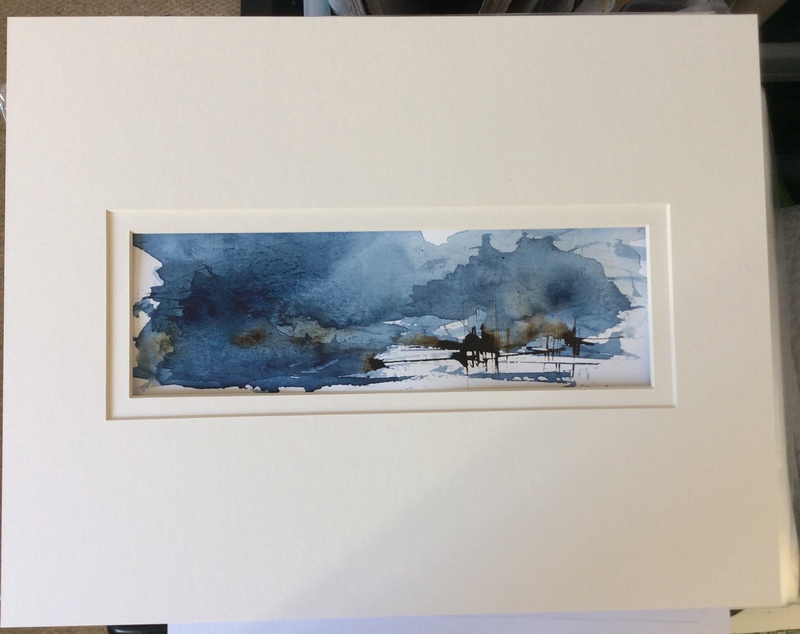 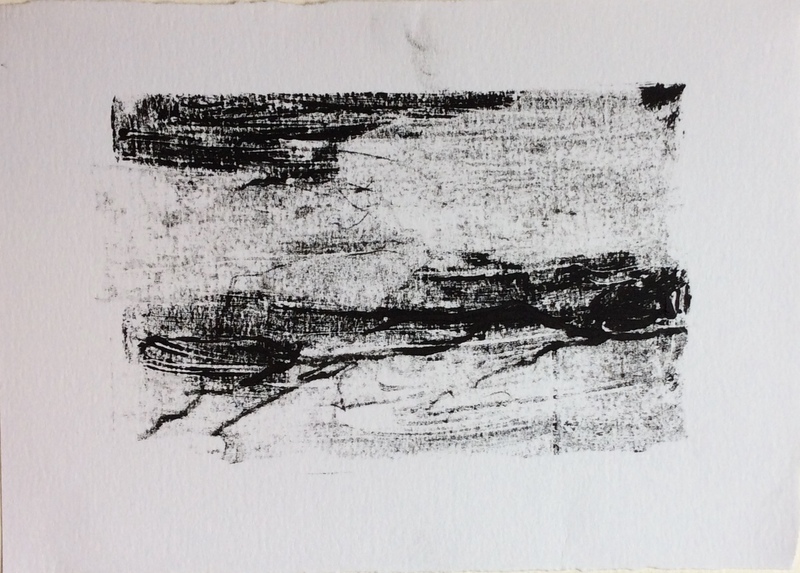 My work is all about my experiences of the landscape, my response to it….and my mood…which leads to my choice of medium…watercolour, ink, charcoal or acrylics…so I am learning, slowly, to let this particular hang-up go…. 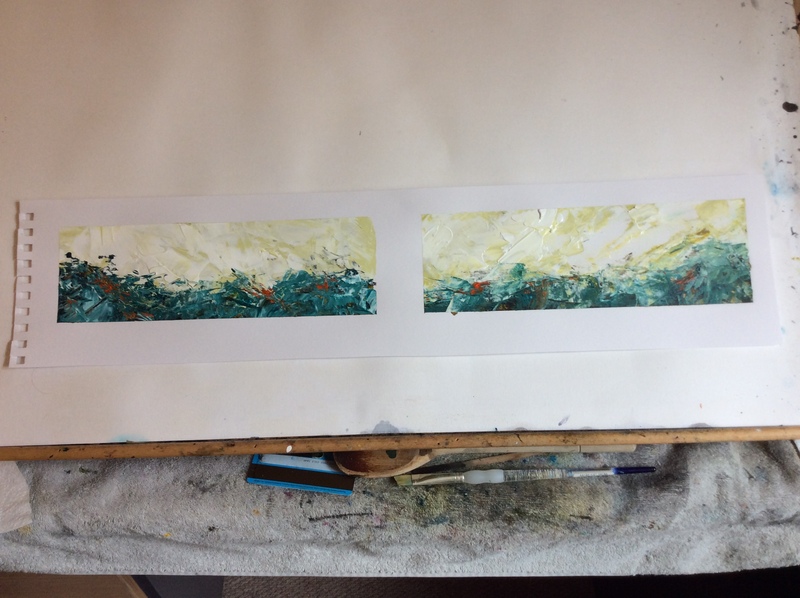 I do find working on several pieces stops me from fiddling…..
…definitely need more practise with the larger sizes….. 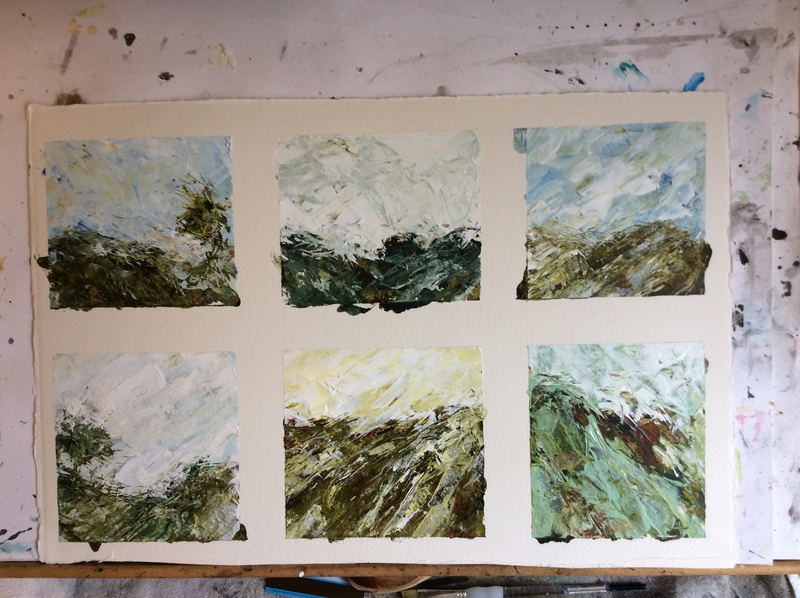 Anyhow, this is today’s progress….one or two might make the cut for the Melbourne Festival…. 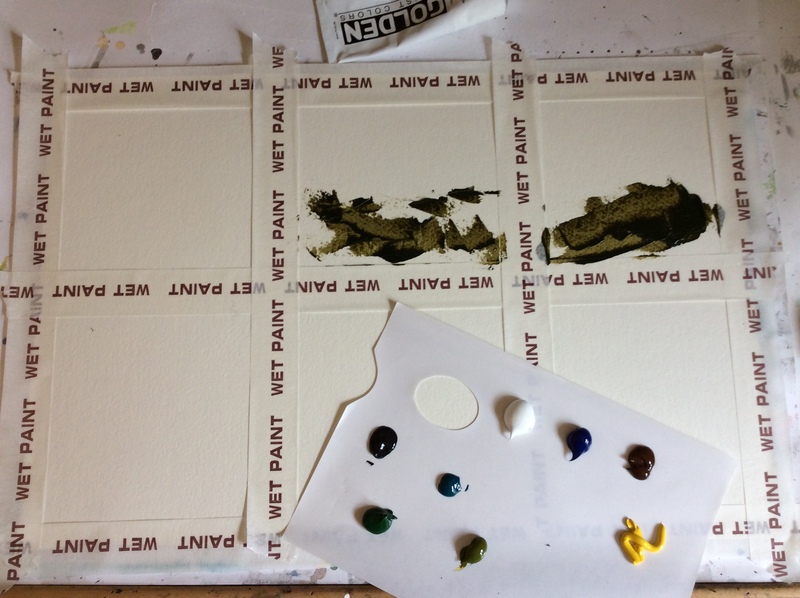 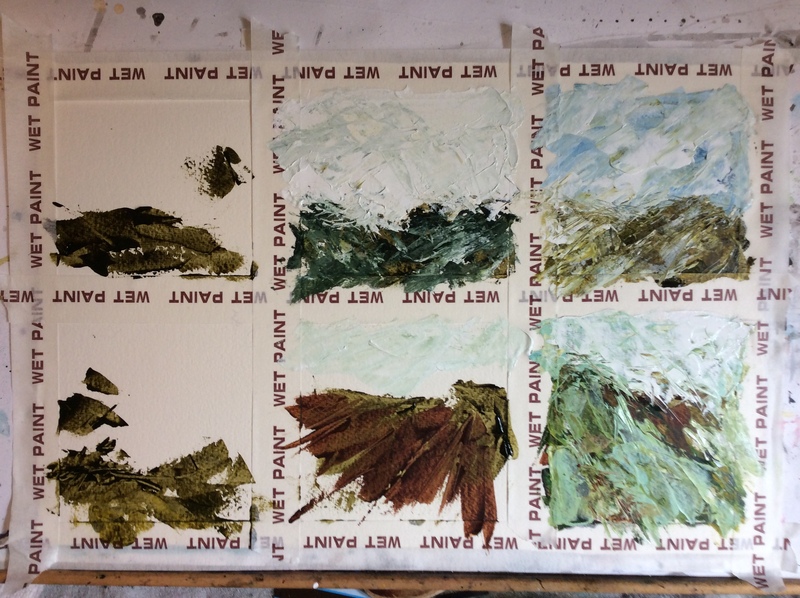 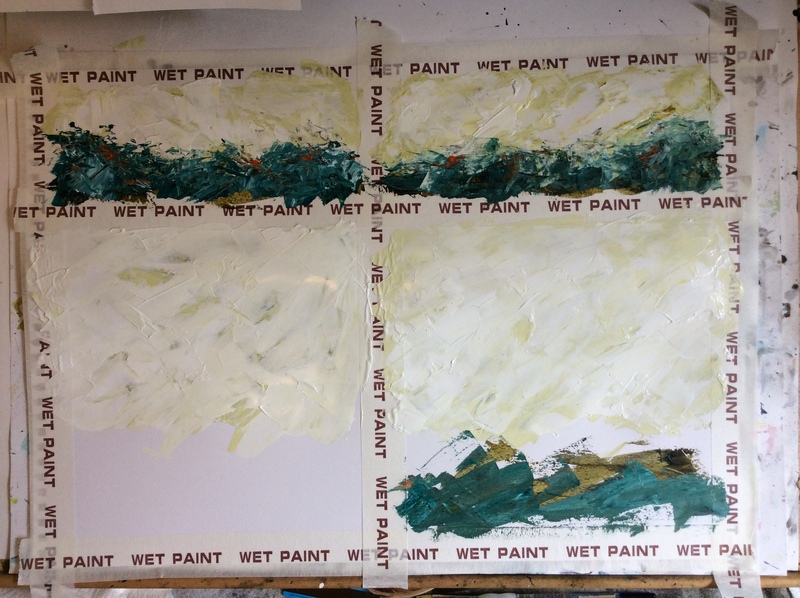 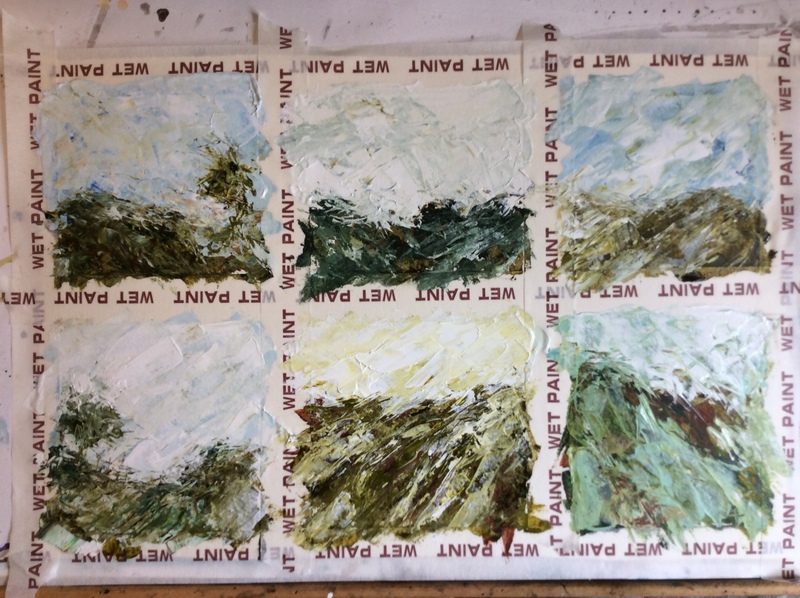 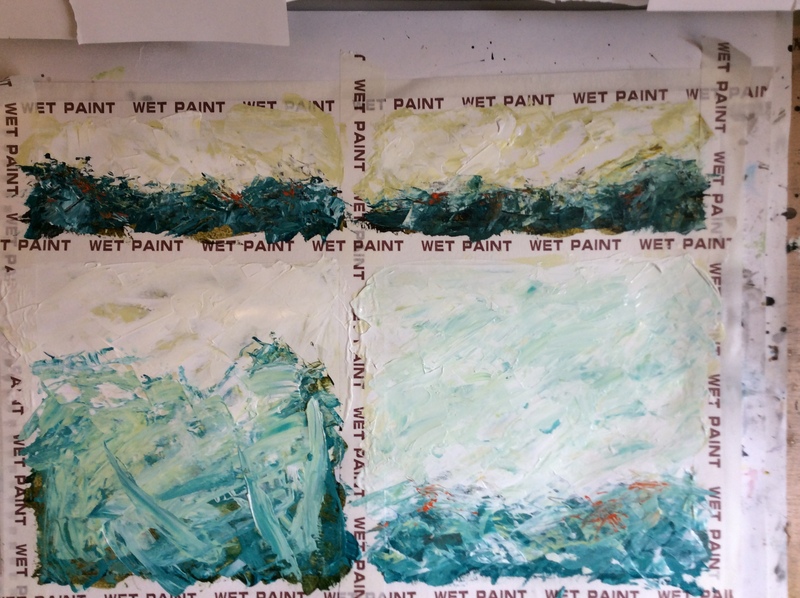 I should add that whilst painting I have been listening to artist Rebecca Crowell’s podcasts via The Messy Studio…. 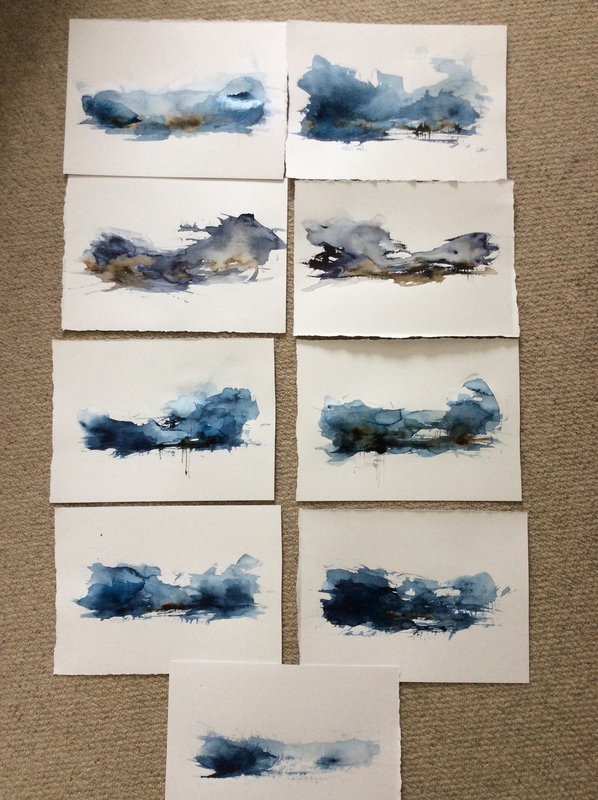 not sure what my choice of episodes says about me… ‘Habits of Successful Artists,’ ‘Being Professional,’ ‘Finding Personal Voice’ and ‘Cleaning Up Your Mindset an Attitude’…. 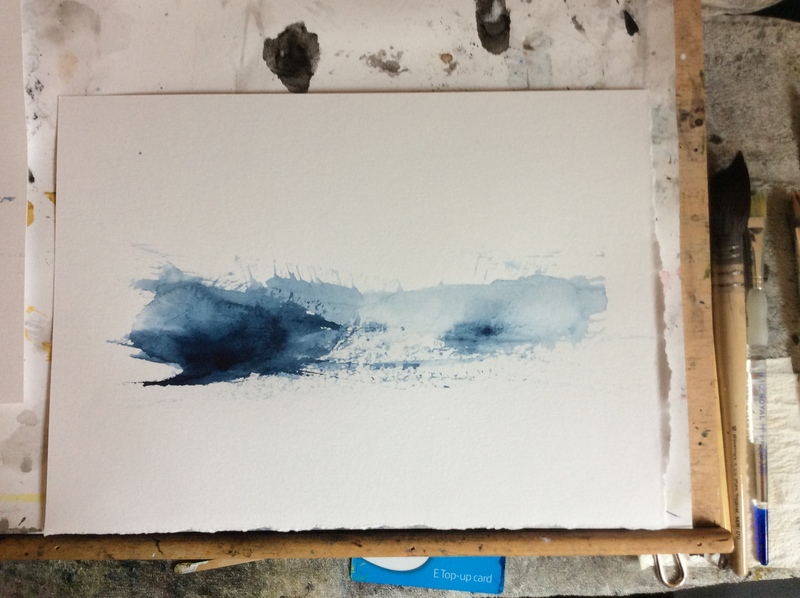 What do you like listening to whilst working? 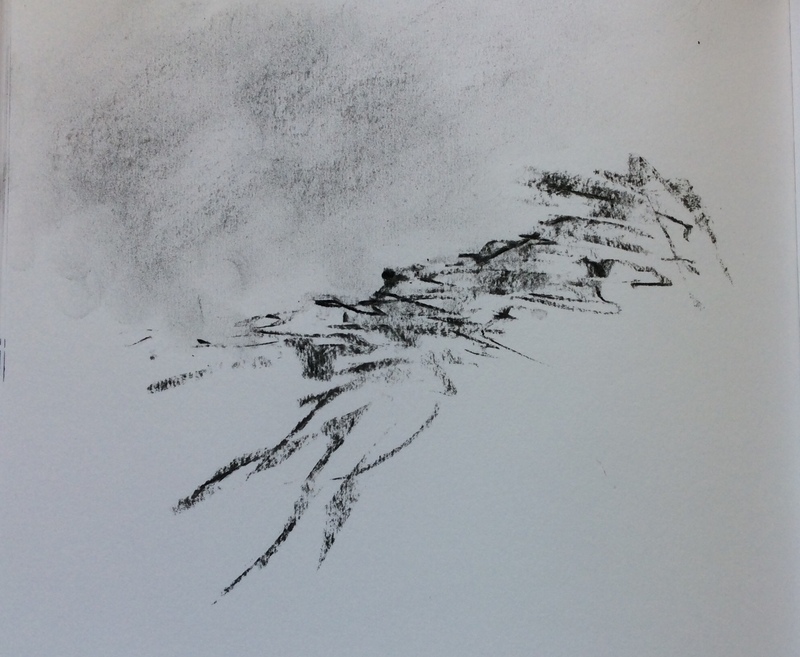 and this one is okay once I had rotated it…. 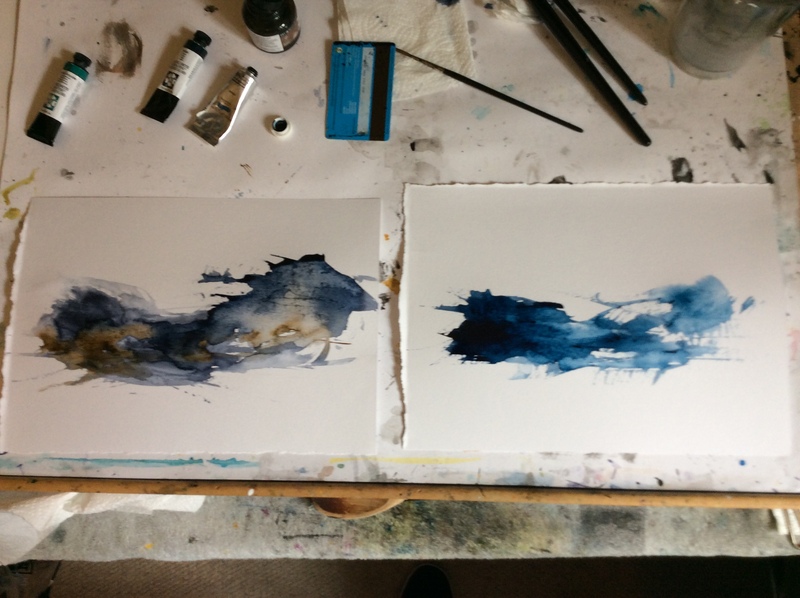 Not sure if this will lead to anything but at least I went into the studio and got creative…onwards and upwards now!